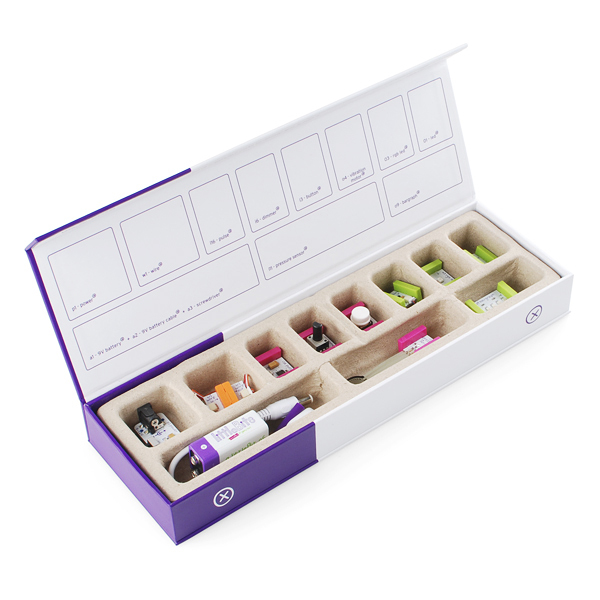 littleBits is a library of discrete electronic components pre-assembled in tiny circuit boards. These simple, intuitive, space-sensitive blocks make prototyping with sophisticated electronics a matter of snapping small magnets together. 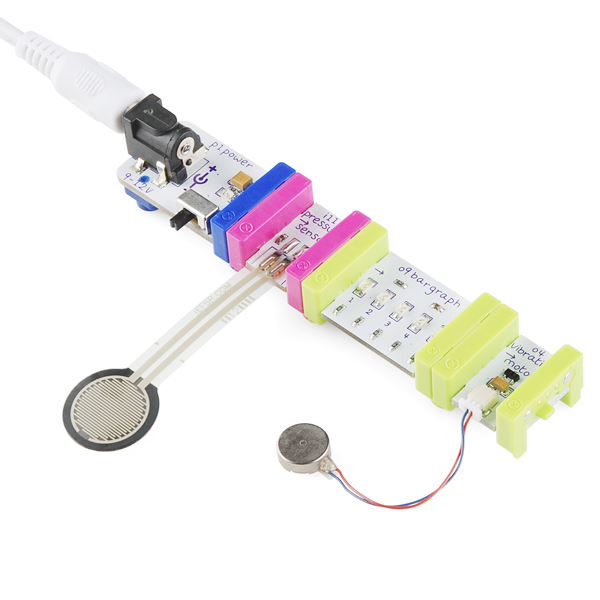 With a growing number of available modules, littleBits aims to move electronics from late stages of the design process to its earliest ones, and from the hands of experts, to those of artists, makers, students and designers. Each "Bit" is a piece of an electronic circuit. 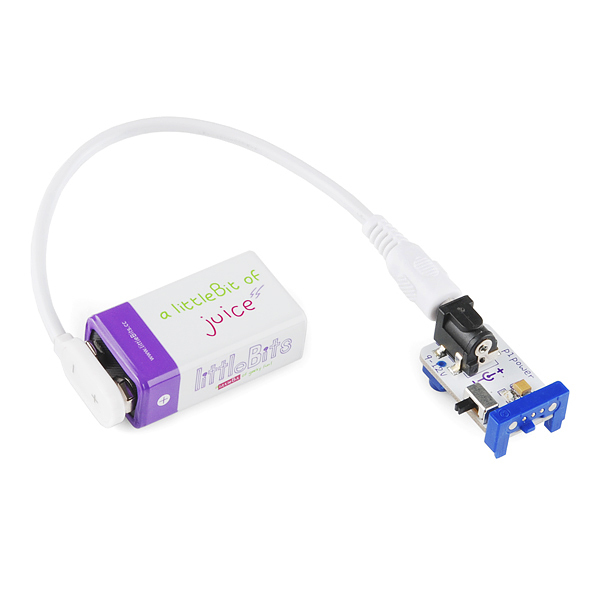 The bits are color coded and divided into 4 categories: power, input, output and wire. 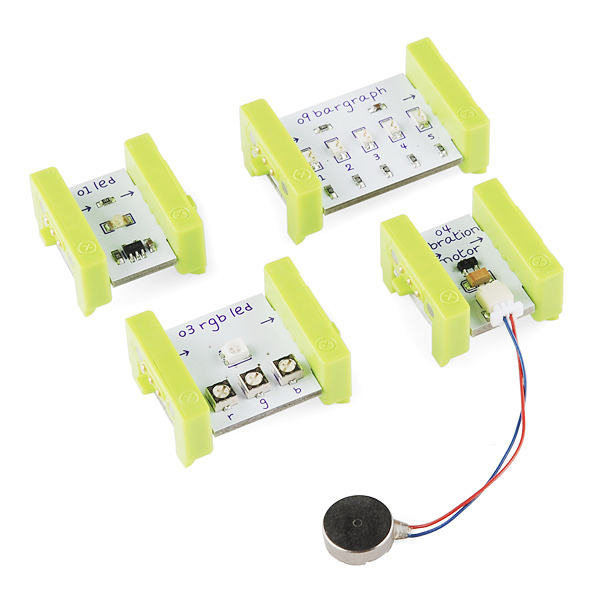 By combining the modules in different ways (by simply "snapping" them together magnetically) you can quickly create any number of interactive electronic projects. 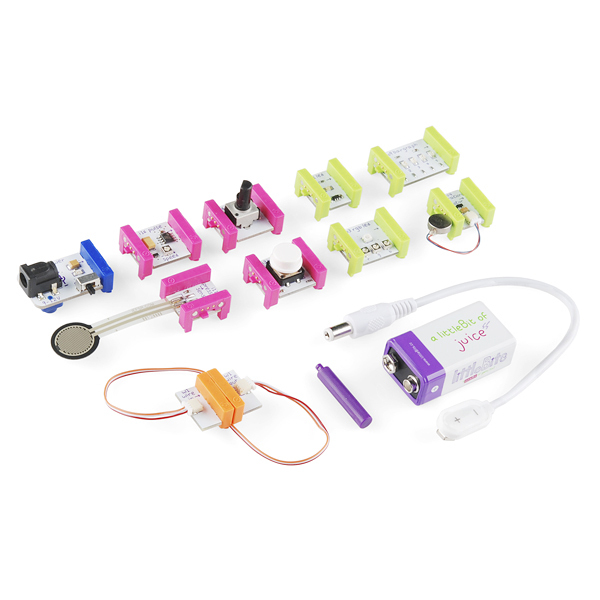 The starter kit contains everything you need to get started with littleBits, including several littleBits modules, a 9 volt battery and a full-color quickstart sheet. 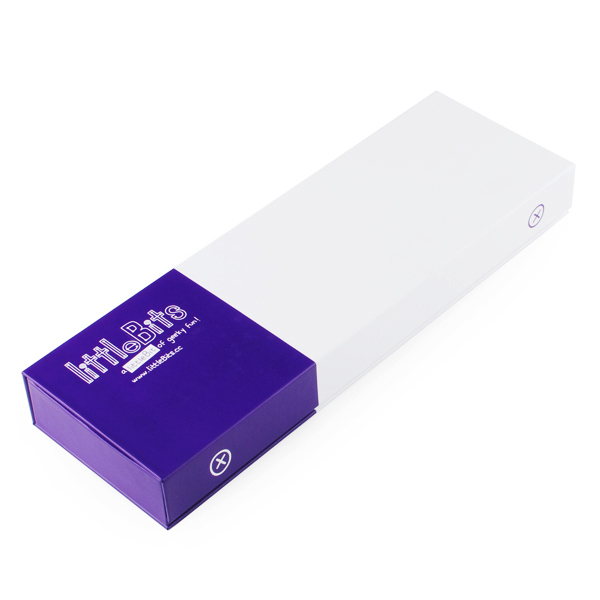 It even comes in a snazzy tray-separated cardboard box with magnetic closure. 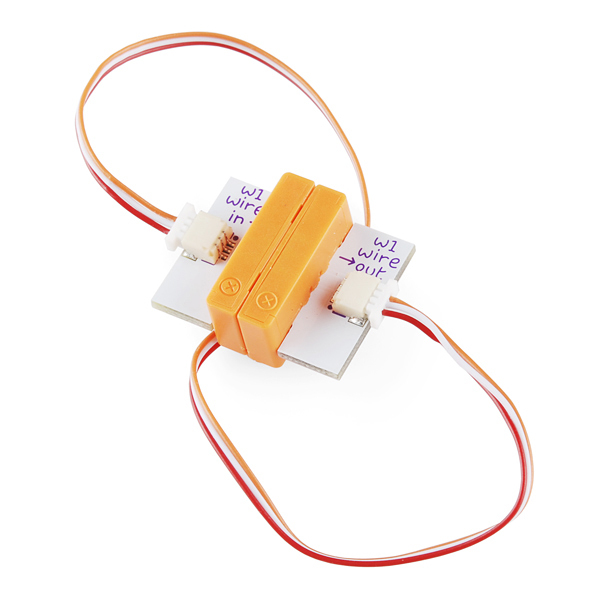 This version has slick-looking upgraded connectors and a more finger friendly pushbutton bit. You'll also notice that the 9V battery connector is color coordinated, a good look.